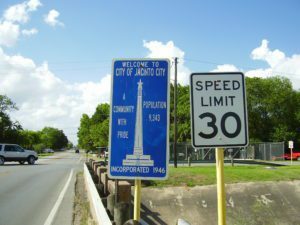 Jacinto City (January 17, 2019) – A man was struck by a truck and killed while attempting to cross the East Freeway service road in Jacinto City Thursday morning. According to Jacinto City Police Department Lieutenant Mark A. Longrigg, the man left from a Shell convenience store on Mercury Road. He was walking northbound on Mercury toward the underpass at Interstate 10. The light was red when he crossed at Mercury then the traffic light turned green. As he crossed the road, a Waste Connections truck struck him. The victim was taken to Memorial Hermann, where he was pronounced dead. It is important to remember that pedestrians must obey traffic lights and crossing signals. Once a pedestrian lawfully enters a crosswalk, all drivers must yield the right-of-way at intersections. If you or a loved one were involved in a pedestrian accident, it is important to contact a pedestrian accident lawyer to help you evaluate your options. Call (713) 987-7111 or send us an email to discuss your car accident injury case.